Stinger Challenge Kit Black | BUDK.com - Knives & Swords At The Lowest Prices! Don’t miss out on this Stinger Challenge Kit! It includes two P311 repeater pistols that hold up to 12 BBs each and shoot at an incredible velocity—up to 275 feet per second! The Airsoft Gel-Trap Target features rings for scoring and the tray at the base catches BBs for easy clean up. 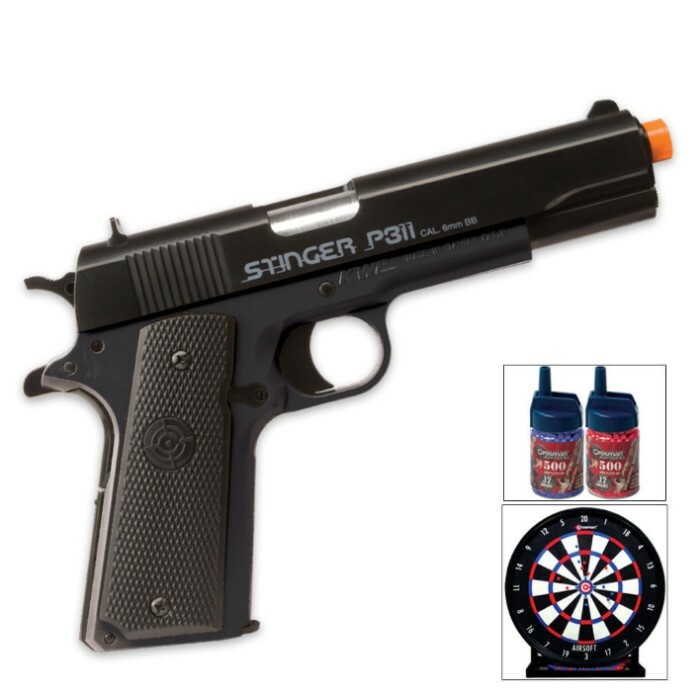 Two packages of 500 count .12g airsoft BBs are included, in two different colors, allowing players to monitor their shots. 9” in length.